All the posture trackers available in the market that we have seen earlier are mainly focused on our backs and waists so as to keep check on our sitting habits. The manufacturers of such trackers believe that the backside of the user can tell best. 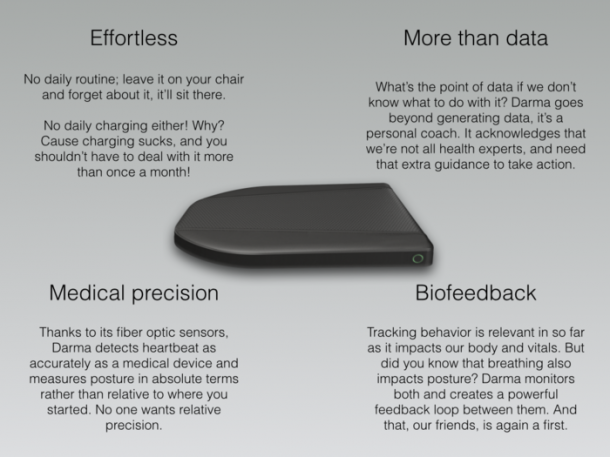 Interestingly, the team behind Darma is risking it on the buttocks, saying that the buttocks can provide better and precise data for the task. 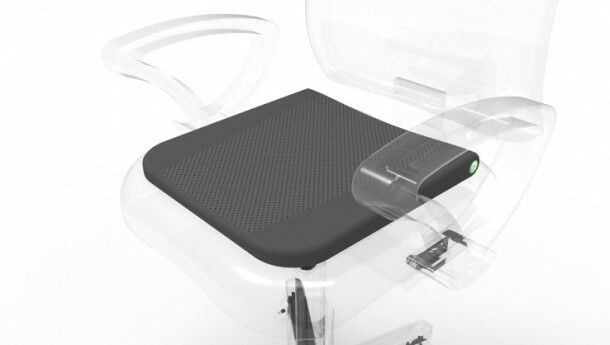 Hence they are making a smart cushion that will monitor the user’s sitting style and provide feedback on posture, stress levels, heart rate and respiration. In the field of health studies, sitting in the same posture for too long has always been described to have adverse effects such as obesity, high blood pressure and increased risk of death from cardiovascular disease. While attempting to find solutions for the matter, scientists came up with exercise balls and standing desks, but standing for too long is also deemed dangerous to our health. 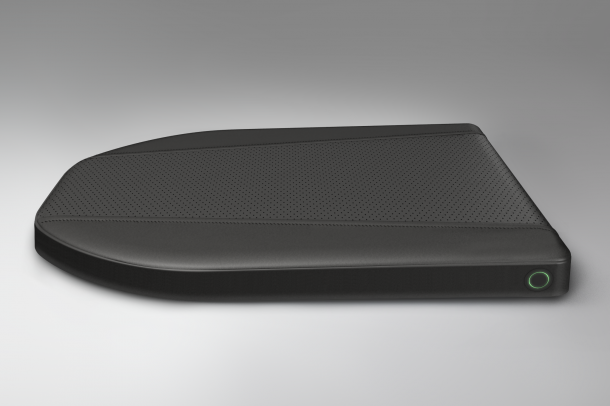 Having 1mm thick fiber optic sensors, embedded at the top of multi-layer memory foam padding, Darma is designed to improve the posture of the users, while encouraging them to alternate between sitting and standing. It can also detect if the user is slouching and provide real-time feedback and coaching for better posture through an iOS, android or desktop app. The cushion also records how long you have been sitting, and notifies you when you should stand up and take a break to move around a little. It also tracks vitals like heart and breathing rate. 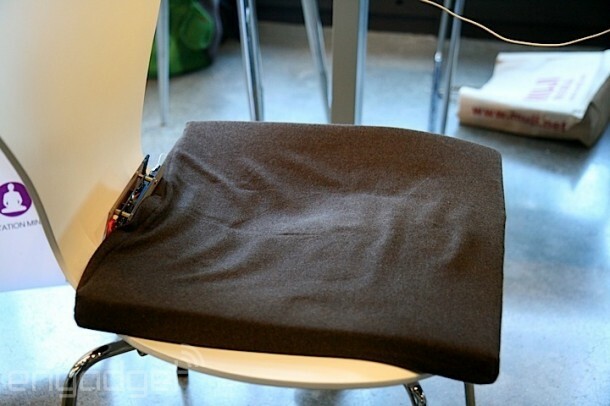 According to this data, the cushion can detect when user is stressed and provide breathing exercises to help. 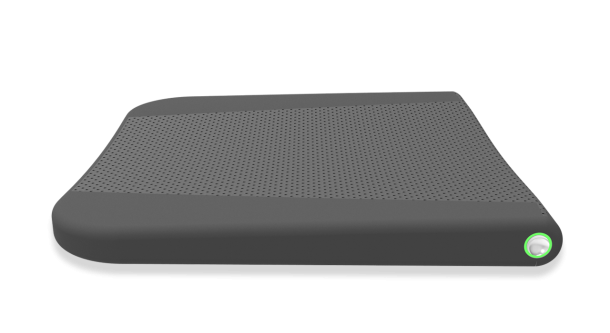 Depending upon the user’s sitting habits, the cushion can suggest stretches to ease discomforts like back and neck pains. Darma thrives on a Micro USB port for charging and lasts one month on each charge. It measures 40 x 40 x 3 cm and contains a Bluetooth LE module to connect with mobile device or computers. 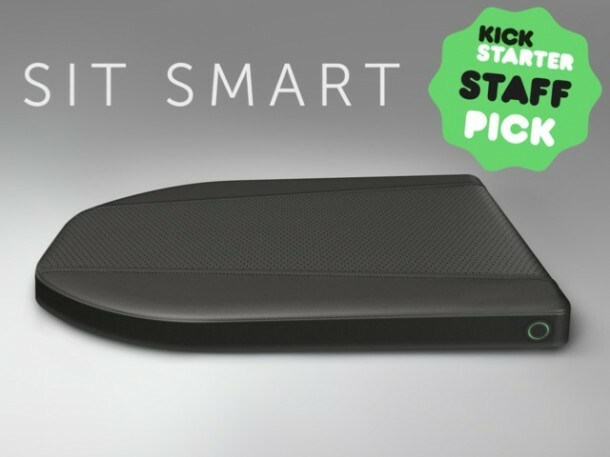 In its Kickstarter campaign, the company has achieved its US$40,000 goal and has gone way past it to raise $85,000. 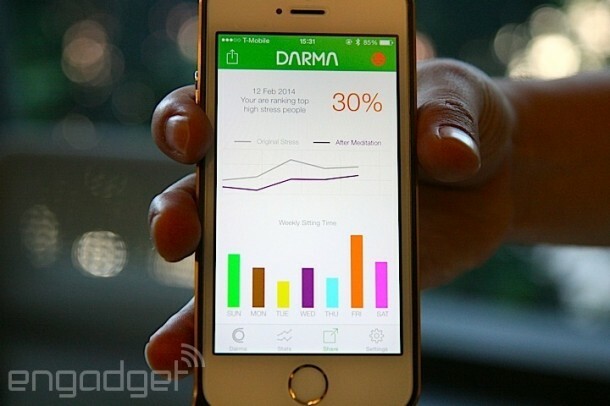 Pledges are still available for $129 and Darma is supposed to begin shipping in June 2015.